Homesick While Solo Traveling, Is It Normal? I was waiting for my food to come at a taverna in Plaka district, Athens when I observed the people around me. A taverna is a small restaurant serving Greek food. It was a sunny day and I could see the tourists were busy looking for restaurants they want to have lunch at. Everybody was looking so excited, they must have visited the Acropolis earlier. Or maybe made acquaintance with some beautiful Greek people along the way. One family near my table was discussing their Santorini trip later that day and a couple inside the restaurant looked so in love. Nothing bothered them, as if the world was theirs only. Holding hands and publicly showing their affection. It just hit my heart, though, because I was sitting alone. When I eat, I normally focus on the taste. That day I could only taste the loneliness. For the first time in my life, I realized that I was all by myself. When I last did my solo travel, I only remembered the best things (and people) that I discovered during my trip. That time I just wished someone… anyone… was having lunch with me. I did not even finish my food and quickly walked back to the apartment. All I wanted was just to go back home! Was I crazy or what? A lot of people are dreaming to be able to travel the world. To wander by themselves and explore the unknown, if only time, money and opportunity allow them to do so. All of these were mixing up in my head. 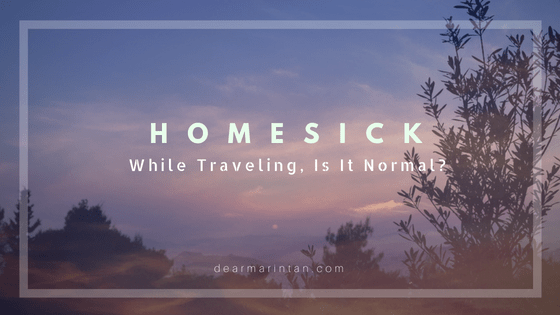 I asked other fellow female travelers from The Solo Female Traveler Network about this, whether feeling homesick is normal or not. Below are some of the responses I received from them. “I can totally feel you! For me I miss my family, wish if they were with me and can see all those beautiful places!” said Sabnah Fuan. There were many other responses that I could not mention one by one here but one thing is for sure. Every traveler must have felt lonely at a certain phase of wandering alone. It does not mean that anyone should not travel alone, because some of the best memories and decisions that I made came from solo traveling. Feeling homesick during solo traveling is normal. It just means that we miss the loved ones that we left behind. Distance will make us value togetherness, even more, when we come back home. Going solo also makes me realize that traveling is far beyond ticking off places and things to do from the bucket list. Traveling is about creating memories and appreciating every little thing during the trip, whether you prefer doing it by yourself or with your loved ones. 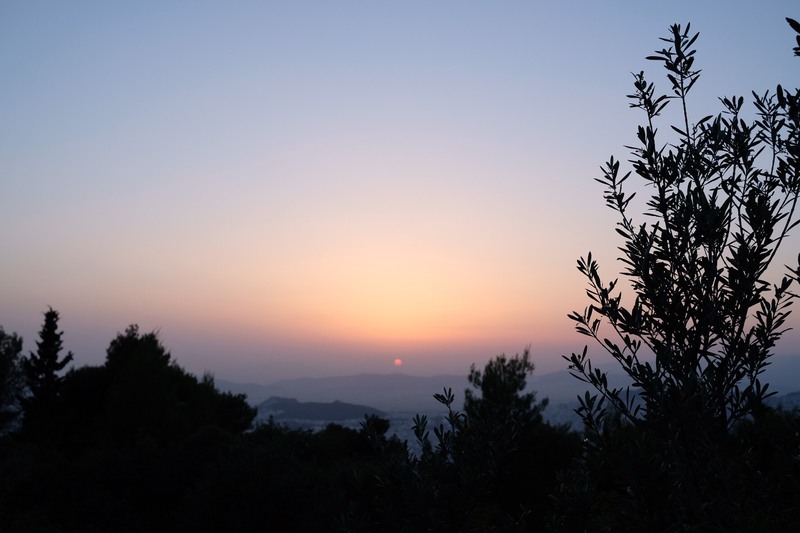 *) Photo was taken at Ymittos Hill, Athens on June 7, 2018.